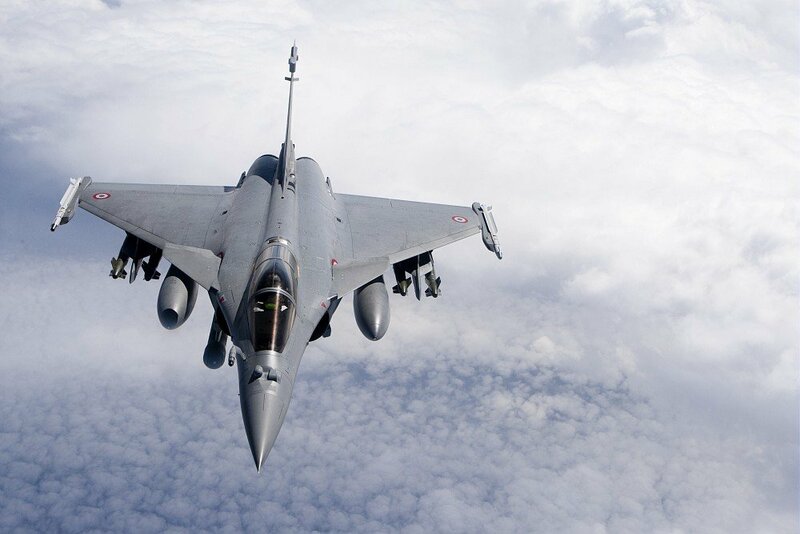 Four batches of 13, 48, 59 and 60 aircraft have been ordered by the French MoD, totaling 132 aircraft for the French Air Force (63 Rafale B two-seaters and 69 Rafale C single-seaters) and 48 Rafale M naval single-seaters for the French Navy. Egypt, Qatar and India have signed contracts for respectively 24, 24 and 36 Rafales, bringing firm orders to 264 aircraft. By the end of April 2017, no less than 148 Rafales had been delivered to the Armée de l’Air and the French Navy while a further nine had been built for Egypt. Capabilities are developed incrementally, and released in packages (“standards”). The first release (standard F1) featured only air-to-air capabilities. It became operational in 2004 with the French Navy on Rafales launched from the Charles de Gaulle nuclear aircraft-carrier during operation “Enduring Freedom”. Standard F3 is the current release. It has been qualified by the French MoD in 2008. It adds air reconnaissance with the Areos recce pod, anti-ship with the AM39 Exocet (implemented in Rafale B, C, and M), and the nuclear capability with the ASMPA. The first Rafale F3 was delivered to the French Air Force Operational Evaluation Centre (CEAM) in mid-2008 at Mont-de-Marsan AFB, in full accordance with the contracted delivery schedule. The French Air Force first operational Rafale squadron, EC 1/7 “Provence”, has been stationed at Saint-Dizier air base since 2006. The second FAF fighter squadron equipped with Rafale, EC 1/91 “Gascogne”, was officially re-created at St-Dizier in March 2009. In October 2010, it was followed by ETR 2/92 “Aquitaine”, a joint Air Force / Navy unit that will now handle all aircrew training. In November 2010, EC 3/30 “Lorraine” was re-created at Al Dhafra air base, in the United Arab Emirates, with Al Dhafra becoming in effect a forward operating base for Rafale fighters. In 2011, French Navy Flottille 11F converted from the Super Etendard to the Rafale at Landivisiau, and was declared fully operational in late 2012. 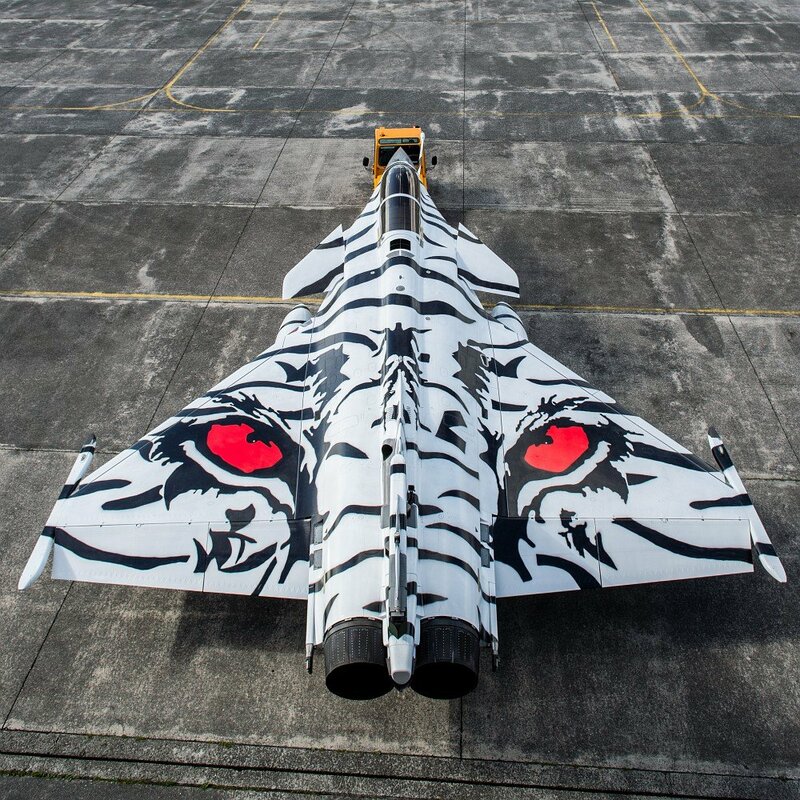 Escadron de Chasse 2/30 ‘Normandie-Niemen’ became the fourth Armée de l’Air front-line squadron to convert to the Rafale when it reformed at Mont-de-Marsan in June 2012. The Rafale has been subjected to thorough evaluations by several air forces with very positive results. It has been successfully involved in numerous multinational exercises: Red Flag, ATLC, Tiger Meet, Maple Flag, Arctic Challenge…. The Rafale M is the only non-US type of fighter cleared to operate from the decks of US carriers, using their catapults and their arresting gear.